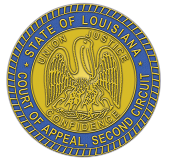 The Second Circuit Court of Appeal in Shreveport, one of five circuit courts of appeal in Louisiana, consists of nine judges who are elected from three election districts in the 20 northernmost parishes of Louisiana. 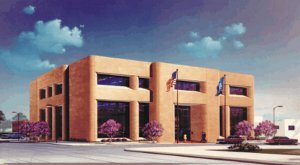 The Second Circuit Courthouse, constructed in 1987, was dedicated in the memory of Justice Pike Hall, Jr. on September 29, 2000. The mission of the appellate courts of Louisiana is to provide meaningful access to all who seek review under the Court's appellate and supervisory jurisdiction granted by the Louisiana Constitution while protecting and promoting the rule of law, preserving the public trust, and using public resources efficiently. The latest Opinions were added on April 24, 2019, released by our office and transmitted to the publishing companies, as appropriate.